A great noire portrait of Jaethal, drawn by a Twitter user iwilltryalittlearter. 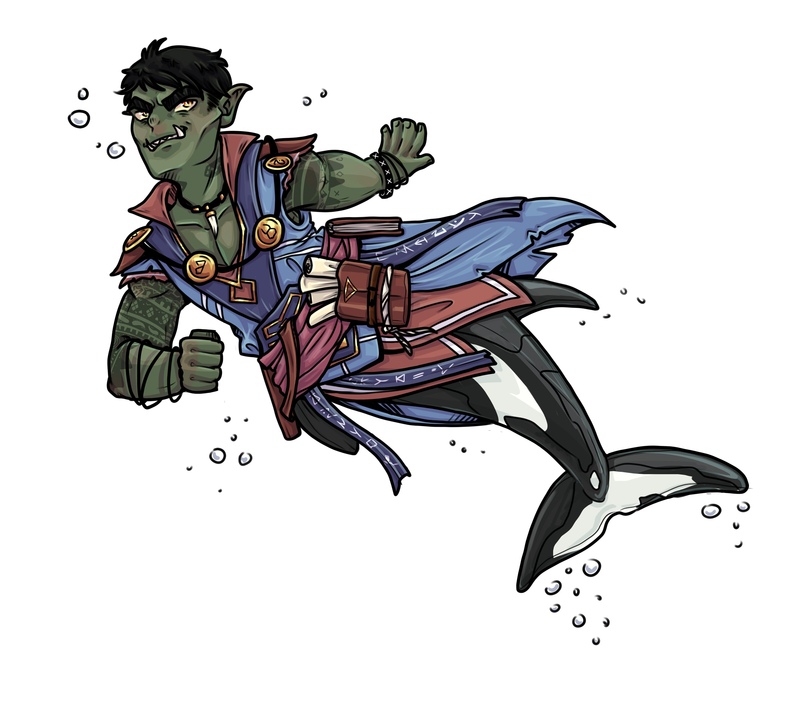 A cute half-orc, half killer-whale Regongar! We start this week with a beautiful art of the baroness by Linda Lithén! We rarely get any fan arts dedicated to Ekun. It's time to fix an injustice! 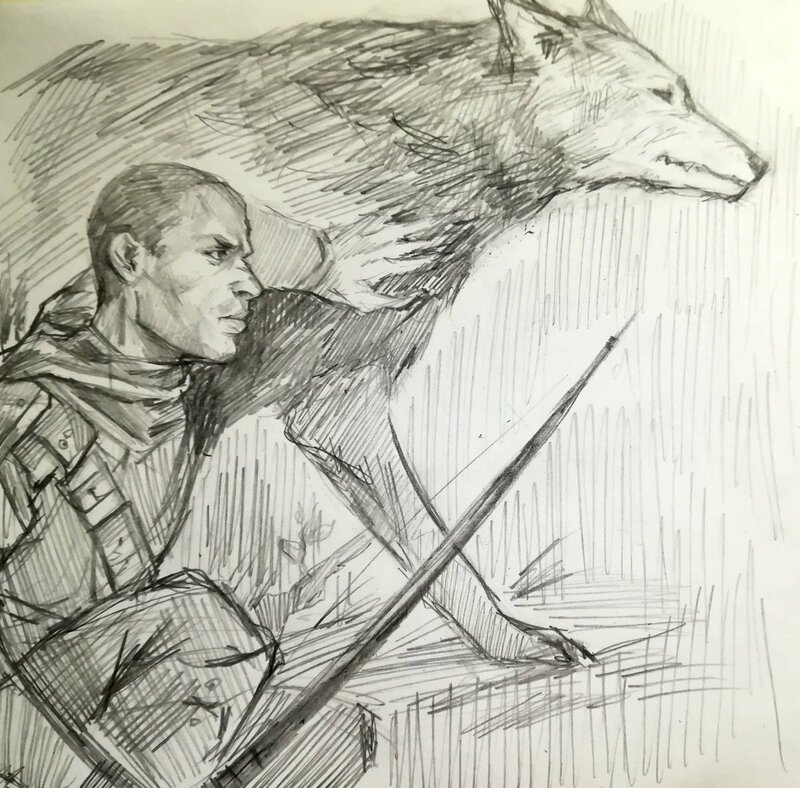 The author of this pencil sketch oh the silent ranger and his wolf is @DancinFox.